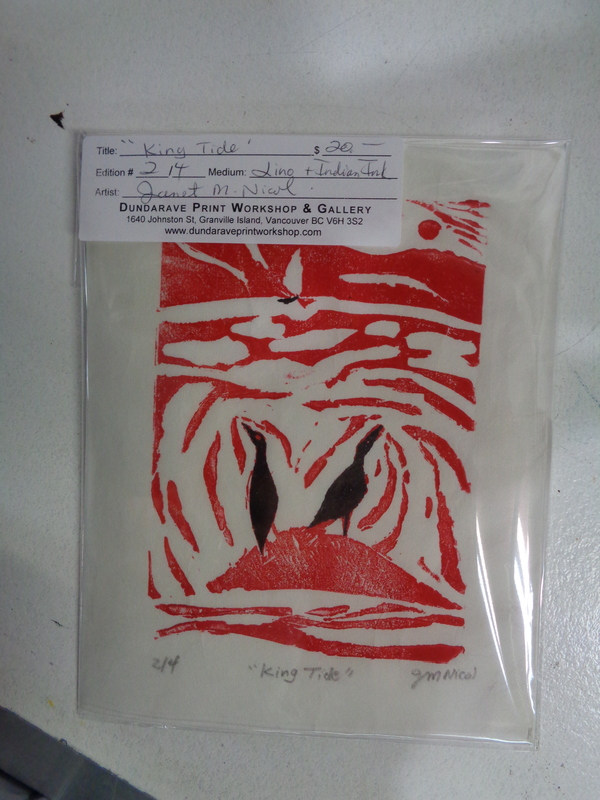 “King Tide” Linocut with Indian Ink, 1/4, by Janet Nicol. This image is inspired by the Vancouver municipal government’s call out to residents during the winter of 2018 to send photos of ‘king tides’ along the city’s shorelines. The linocut above depicts a pair of cormorants on a favorite rock near the seawall during a king tide. Linocuts are on sale at Dundarave Print Workshop, Granville Island. This entry was posted on January 19, 2019 at 2:25 am and is filed under Uncategorized. You can follow any responses to this entry through the RSS 2.0 feed. You can leave a response, or trackback from your own site.